That is such a beautiful sentiment to me, because we all face different problems, issues, trials, and tribulations in our life. However, if we reach out as this child is shown to be doing, maybe we can find a way through these situations that bring us down. 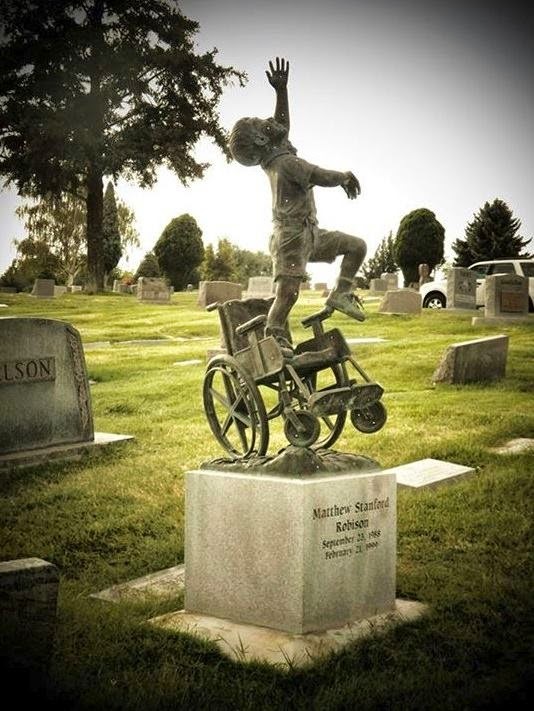 It is heartbreaking that he lost his son at such a young age, but to know he is no longer in pain or bound to a wheelchair. It just sets my heart on fire for God; because I know when my journey is over I won’t have to live in pain daily either. I can only say what an amazing father to do this for his beloved son and all should appreciate their lives as they are, because life could be worse. We all could be taking a dirt nap!